The 'Glee' star has been dating Renee Puente since last summer and is pleased to have found love with someone who isn't famous because she gives him the "normality" he needs in his life. He said: "I'm very happy. Renee's not in the industry - I need that normality. We like to stay home and cook, we're not that Hollywood." Despite feeling settled with Renee, Matthew insists he is in no rush to have children, even though he has recently spent a lot of time with Sir Elton John and David Furnish's 14-month-old son Zachary. He told Closer magazine: "I'm not ready for a family yet. I'm mates with Elton John and love his son Zachary, but I'm not broody." Matthew has previously said he is a very good boyfriend. He said: "People can think what they like. I know I'm a very good boyfriend. I take it very seriously. I am comfortable in my own skin." 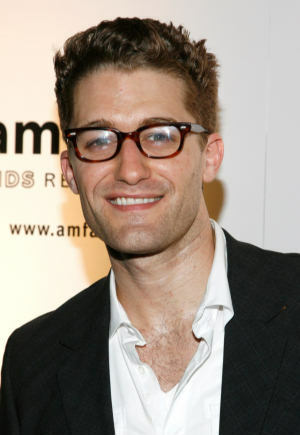 Matthew - who plays teacher Will Schuester in the musical TV show - also revealed how being a household name hasn't changed his outlook on life and is still sensible when it comes to money. He said: "Yes, I am a household name, but for me it's just another job that I love doing. I still live like a starving actor, to be honest. I'm very frugal with money because I'm scared of losing my job, so I still have starving-actor mentality. "I'm very tight with money and real estate is the only thing I've put my money into. I've bought a home in Los Angeles. I don't think anyone can be fully prepared for how much this kind of fame can change a person's life."